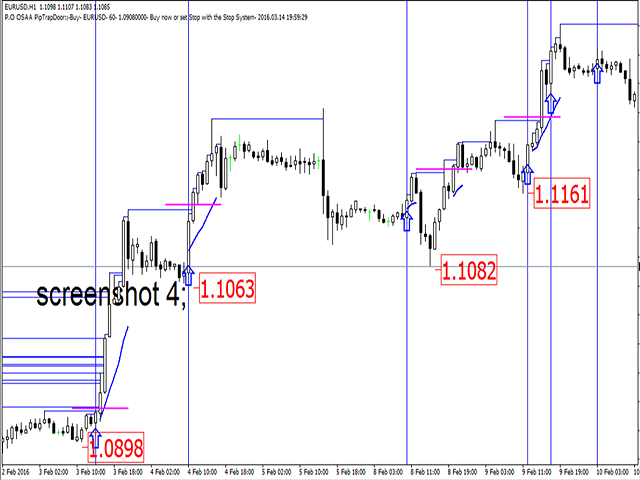 PipTrapDoor is an indicator that helps to decide the direction of the trend and a safe price that confirm the trend and also as entry price, with a suggested TakeProfit price. 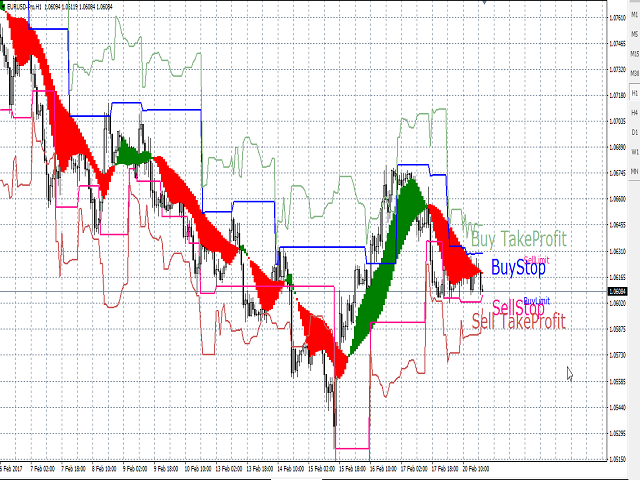 PipTrapDoor can be used with any pair, and with any timeframe. It does not repaint. 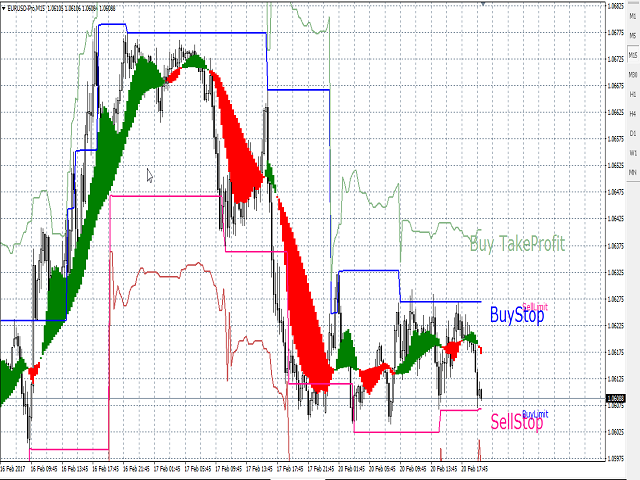 PipTrapDoor can be used for scalping and day trading. It’s a trend following and a breakout indicator. 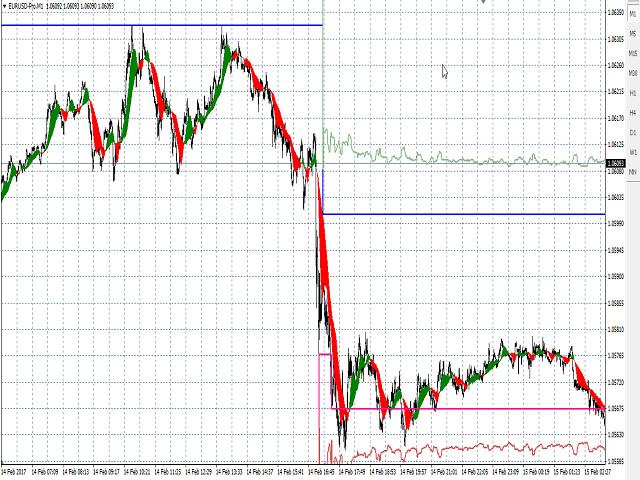 PipTrapDoor also help to Look ahead of the chart. To know if you are to set buystop order, check the last buystop line to see if it has been broken succesfully and the take profit line has been hit. 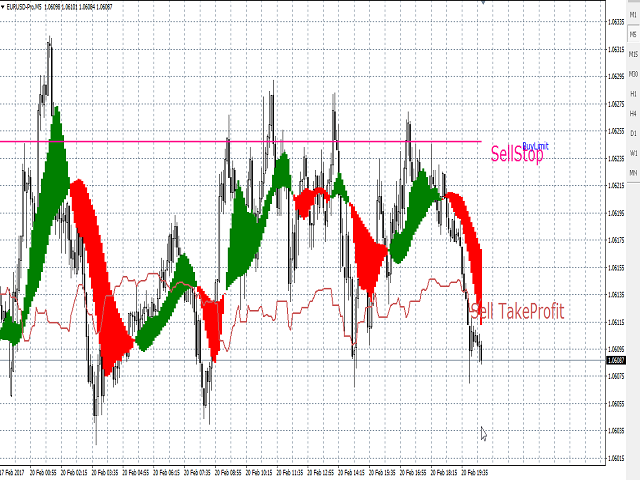 To know if you are to set sellstop order, check the last sellstop line to see if it has been broken succesfully and the take profit line has been hit. To know if you are to set buylimit order, check the last buylimit line to see if it was hit and succesfully turn back and hit the sellstop line. To know if you are to set selllimit order, check the last selllimit line to see if it was hit and succesfully turn back and hit the buystop line. I set stop order and wait for the price to come for me. That is why I call it a trap. I don’t have a pip target. Once it is at profit, I close the order and look for trade on another pair. That is why I call it a door. Close a door to open another one. There will always be a trade setup. Just change the timeframe “Period()”. 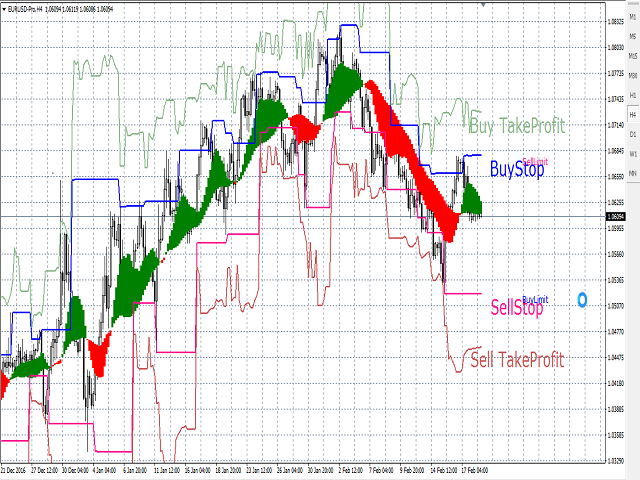 I do use this strategy in small timeframe but i dont like it.Why? the risk is high. 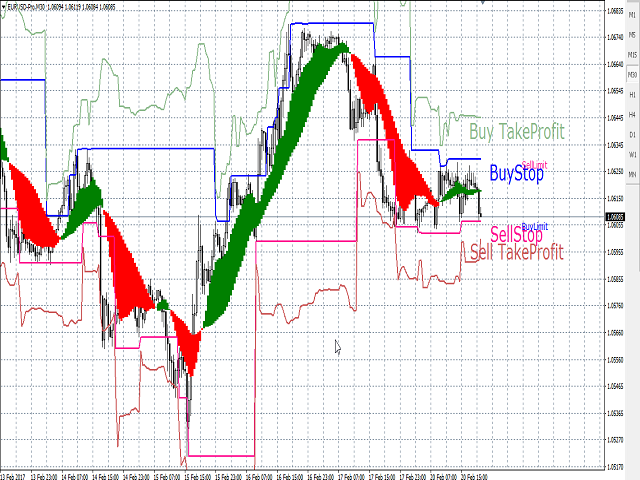 I don't set Stoploss but i have Emergency StopLoss and i don't wait for emergency Stoploss if there is a new setup. It can be used with standard indicator provided by your broker like MA, RSI, Stoch ,CCI, MACD, etc, but it is designed to be used alone. TakeProfit Price will always be hit. TakeProfit Price will not be hit only if the trend is reversing. 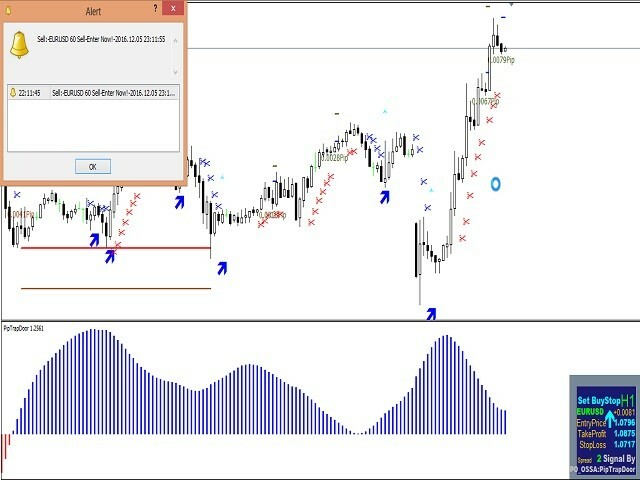 Set Buystop / BuyLimit or Sellstop / SellLimit by the corresponding Buffers. this version is more user friendly than all the previous version. this version Can easily be accessed by Expert Adviser. 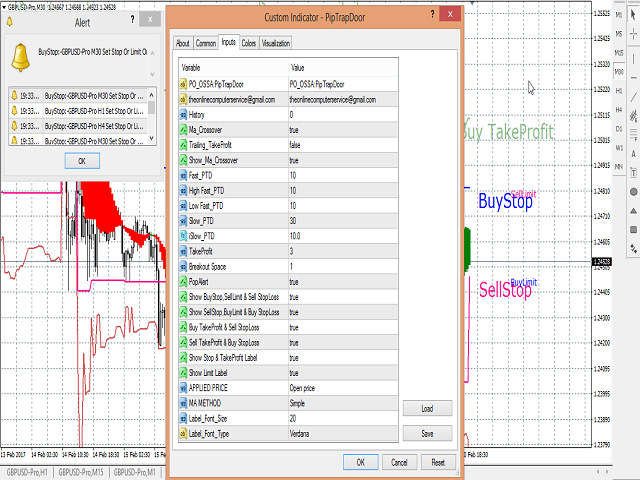 Set Buystop or Sellstop by Entry price direction and set Takeprofit with the panel instruction. 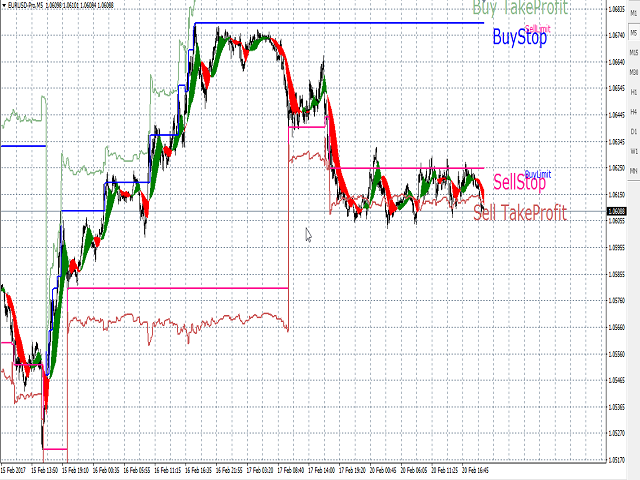 place your Stoploss to the last high or low. The Arrow represents a Reversal Signal, Allow the Bar with the arrow to close to avoid false Signal. 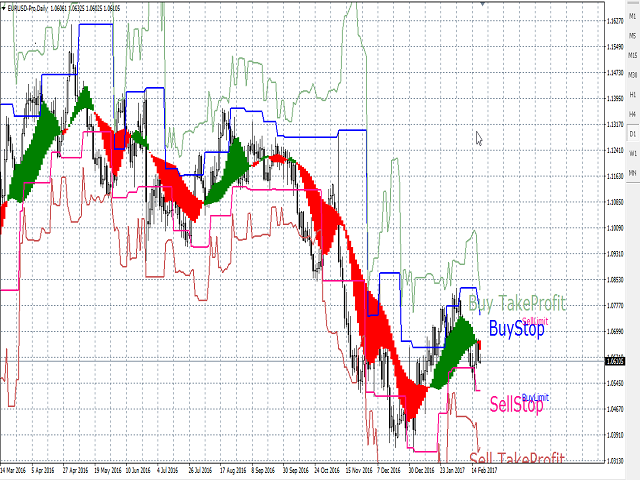 study the reversal signal very well, I Suggest the breakout signal. 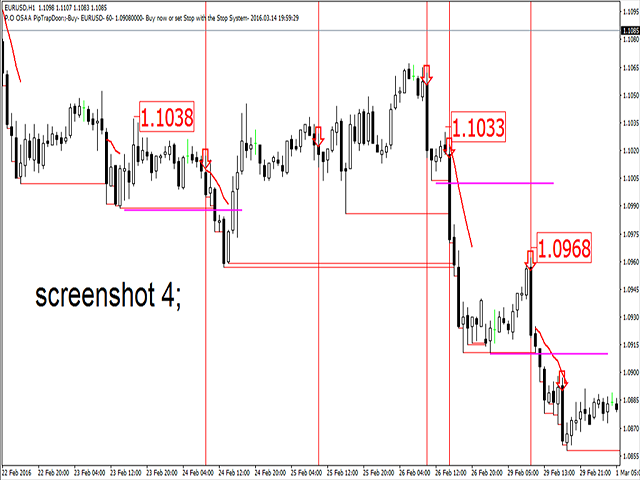 The new version has a specified level of entry and takeprofit, Unlike the previous version where this is missing. -Use_TextLabel - Select true to show the current and Previous signal Bar.